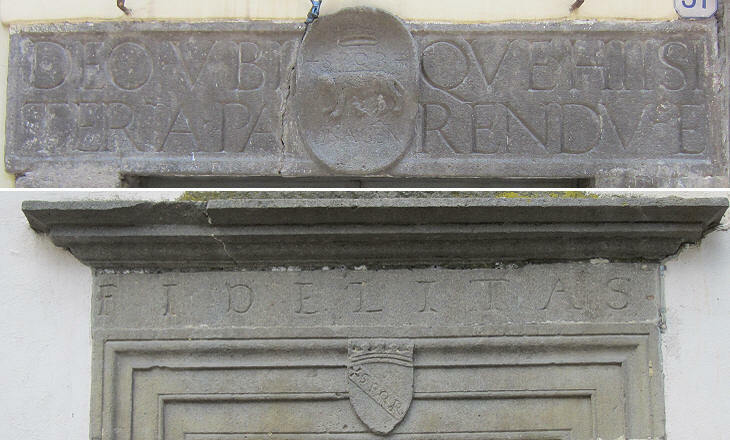 In many parts of Italy it is not unusual to find references to Rome, but Vitorchiano leads the way for the number of these references; this because the inhabitants of this small town a few miles north of Viterbo regarded themselves as citizens of Rome, to which they were linked by a special pact called Fidelato. 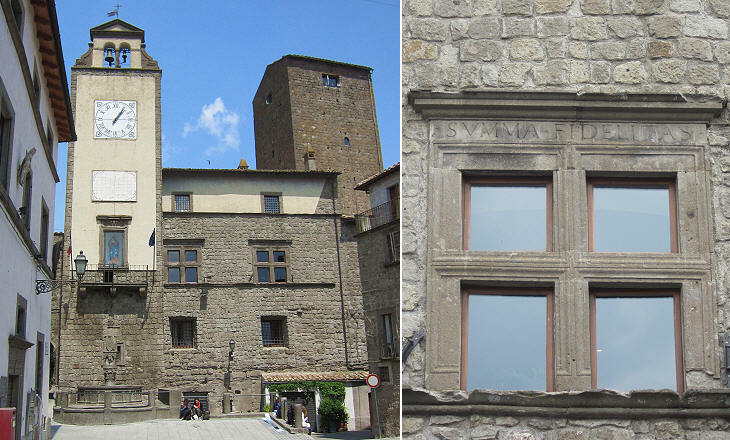 This pact was established in the early XIIIth century when Vitorchiano entered an alliance with Rome against Viterbo, at the time a town perhaps larger than Rome; Vitorchiano was plundered twice by the inhabitants of Viterbo and its walls were razed to the ground; the Romans in recognition of the loyalty shown by their allies paid for the reconstruction of the walls. 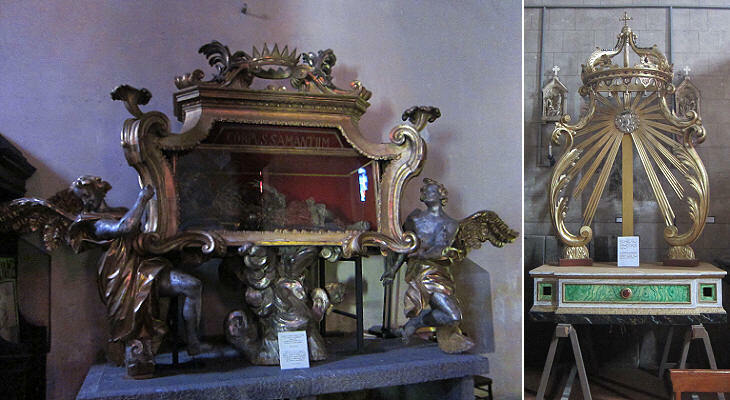 As a sign of friendship and trust, ten citizens of the small town were asked to live in Palazzo dei Conservatori in Rome to contribute to its defence. Even today some official ceremonies involving the Mayor of Rome see the participation of citizens of Vitorchiano in their Renaissance costumes. 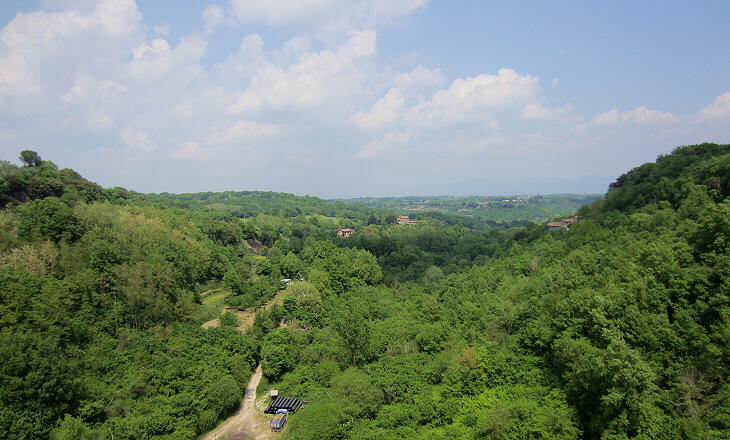 Vitorchiano was at first an Etruscan town and later on became a Roman castrum; it was protected by two deep ravines which joined together to the north of the site so that the settlement had a triangular shape. 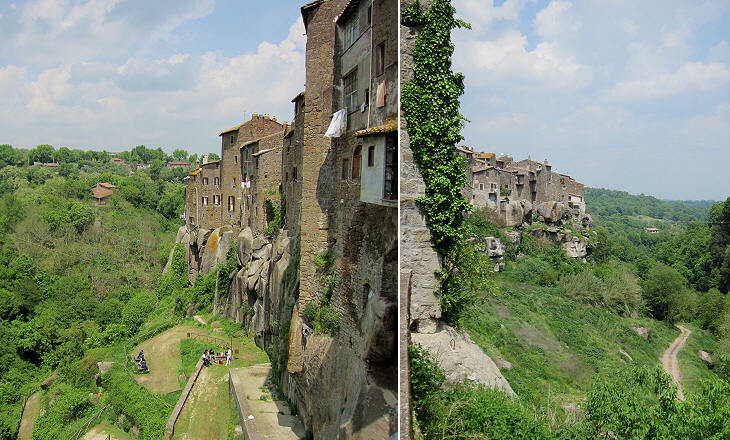 The ravines are so deep that modern Vitorchiano could only expand on its southern side; the old town abruptly ends at a small terrace which offers a nice view over the woods which cover the hills. 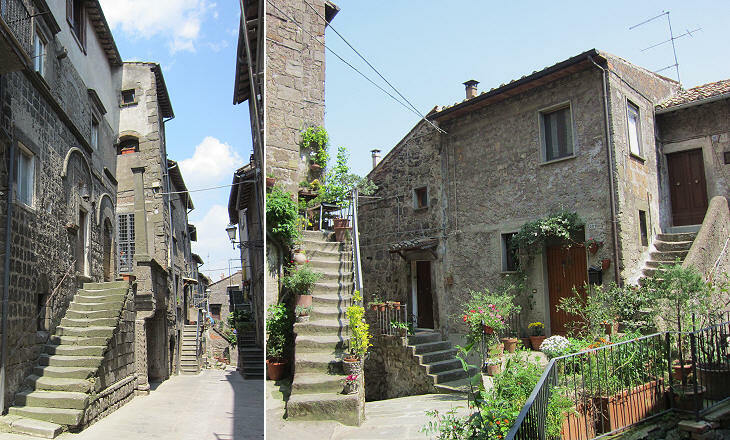 The oldest part of Vitorchiano is located between Palazzo Comunale (which retains a high defensive tower) and the junction of the two ravines; its houses and streets were restored and cleaned in recent years. 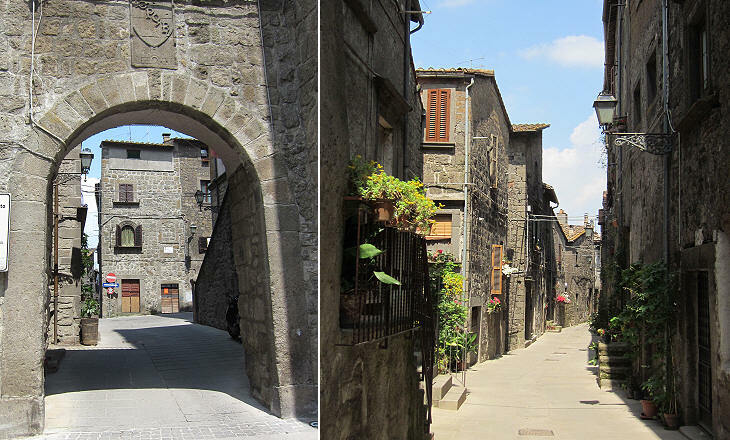 Vitorchiano was at loggerheads with Viterbo, yet its houses are very similar to those one can see in medieval Viterbo. 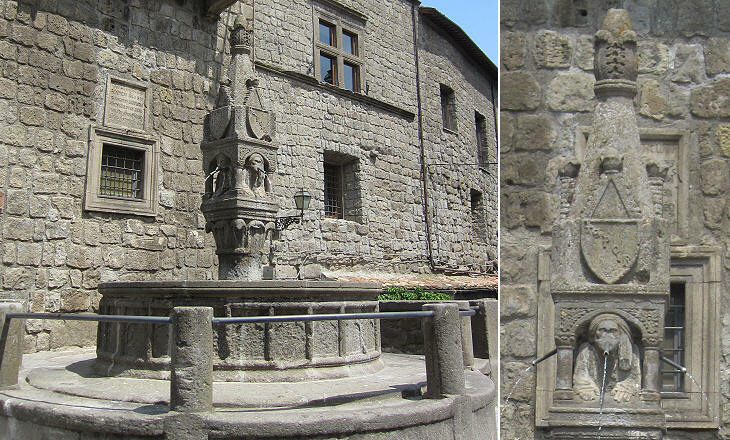 The same remark applies to the main fountain of the town which has the spindle shape which characterizes those of Viterbo. 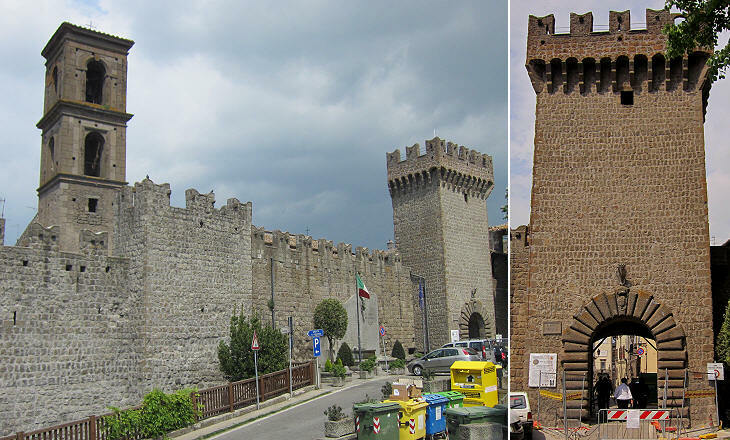 New walls were built in the XIVth century to protect an expansion of the town; their length is very short because no walls were built along the ravines; the only gate gives access to a straight street leading to Palazzo Comunale. 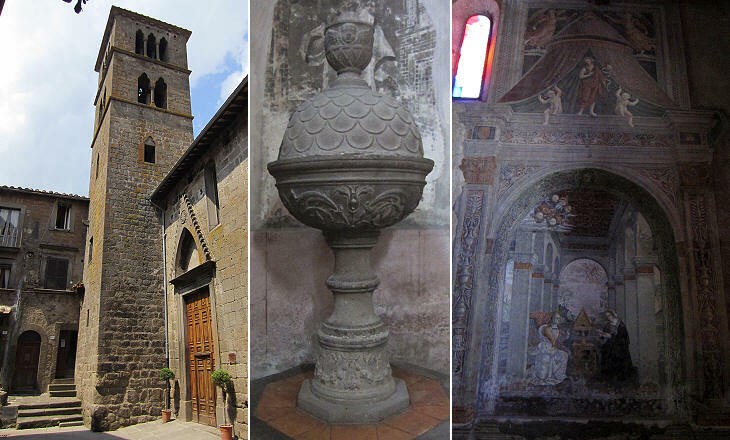 Vitorchiano was not the see of a bishop, nor was it chosen by cardinals as their summer residence (as they did in nearby Bagnaia), yet its churches are not without some interesting works of art.